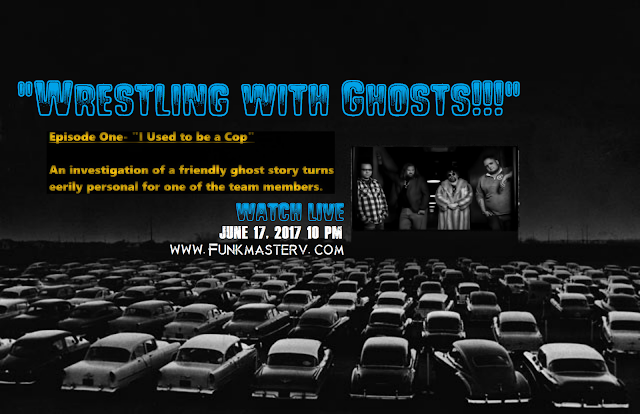 Wax Vac Renews Funkmaster V's Commercial Contract! Wax Vac renewed Funkmaster V's TV Commercial contract thru 2018. Praze the ear-funk Lawd! 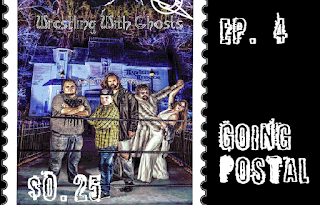 Wrestling With Ghosts' awesome new 360 camera is here!!! You can investigate this room from last night with us. Spin your phone around and see everything as we are focused on what felt like a screwdriver being jammed into my neck at the West Estate last night. If you see or hear anything we didn't catch... message us!!! Today I try to do the impossible... defeat Impossible Mission on the Atari 7800. This game was released with a bug that made it actually impossible to defeat. 30 years later... "Possible Mission" is here... and I try to fake the funk and smee-smash Elvin Atombender. CAN IT BE DONE? Buy the fixed game at: good deal games. Mothership Mondays takes a serious tone this week. 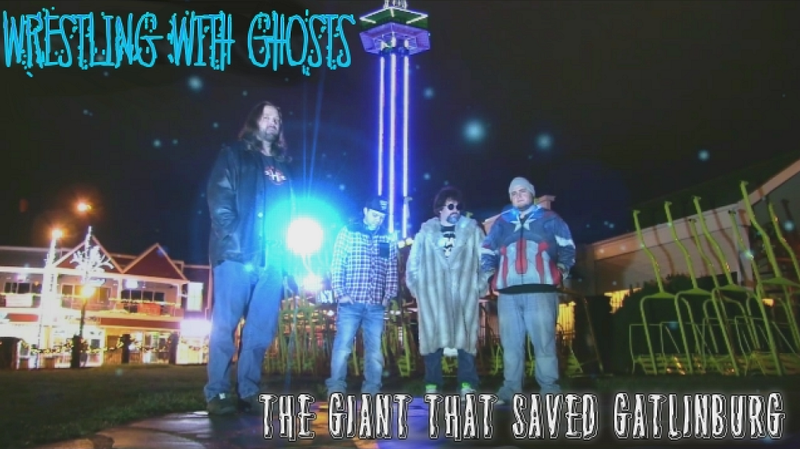 Join the movement and do your part to save these lost souls across the land. 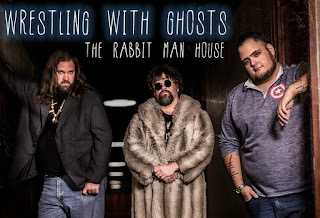 The boys from Big and Funky Productions and Wrestling With Ghosts want YOU to come to the Tri-Star Comic Con in Knoxville Nov 18-19 at Bridgewater Place! The newest Comic Con in the area will feature Ted Dibiase, Wrestling With Ghosts, Josh TKO Turner, "Slimer" Robin Shelby, John Anderson, Matt Acthley and more!! A Match One Year In The Making! Kenzie Paige Henry vs Tommy Henry! Two Monsters collide Keith Knox vs Derek Parton! 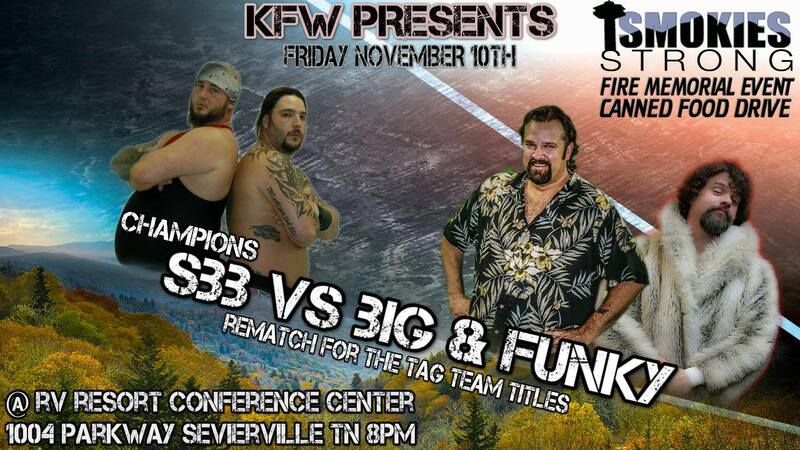 A 6 Man Tag Unlike Any in KFW History The Brotherhood ( Joseph Knight, Tyler Jett, & Wayne Adkins VS Issac Cain, Daniel Wayne Moxxi, & The King Shane Williams! 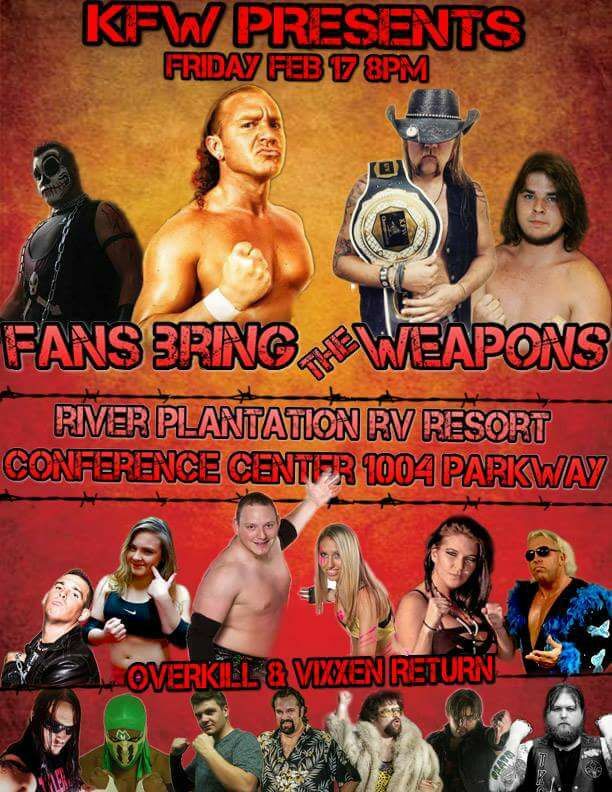 And A Massive Tag Team Black Harvest Rematch For The Titles Damon Biggs Dale Rebel Henderson SBB VS Vinnie Vineyard Luke Walker Big & Funky! THIS FRIDAY @ River Plantation RV Resort Conference Center 1004 Parkway Sevierville TN 8pm. Bring a canned food and enter into one of many raffles to win multiple prizes! 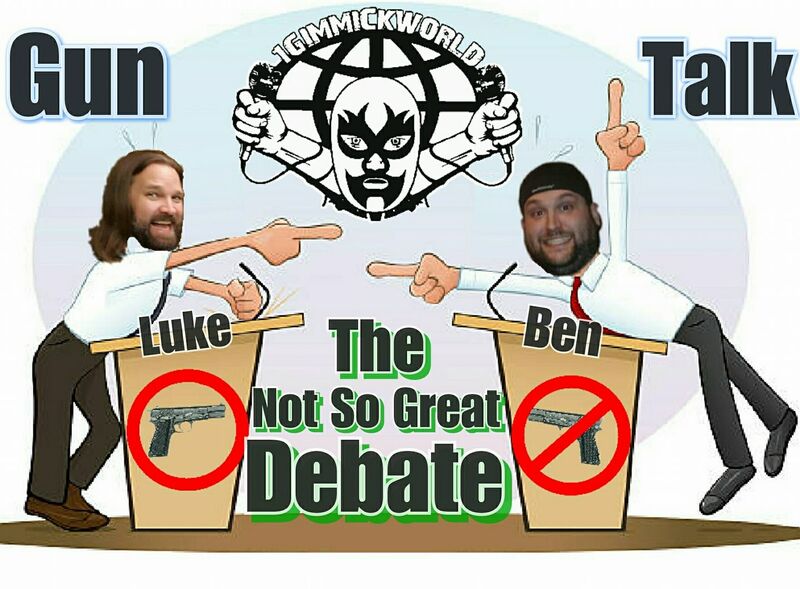 Welcome to the one debate show that actually tries to get to the bottom of it's topic, to find clarity on said topic. 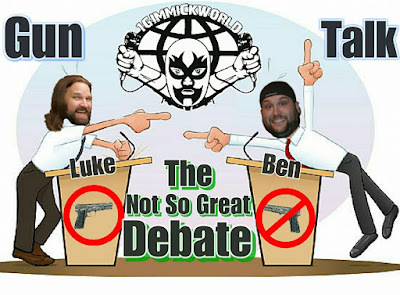 This episode we have pro wrestler and tv personality, Luke Walker. He is pro gun. On the opposite side we have 1GimmickWorld's own, Ben Jordan! 1 - The exact wording of the 2nd amendment is- “A well regulated Militia, being necessary to the security of a free state, the right of the people to keep and bear Arms, shall not be infringed.” How do you translate that? 2 - No developed western countries- UK, Canada, Australia, etc have the problem with gun violence that we do. What factors do you contribute to that, both gun and non-gun? 3 - The word “amendment” is defined as “a small change in a document”. The most recent constitutional amendment being ratified in 1992. A notable amendment to be repealed was the 18th (prohibition of alcohol) which was repealed by the 21st. Given that the 2nd amendment is just that, an amendment, can it be repealed, and if so, what would replace it? 4 - Gun control question. What do you say to people who hate guns but when put in a situation wish someone with a gun was there. 5 - In between “no restrictions” and “outright banning guns” is legislation, which is where most Americans would fall to one degree or another. That said- weighing the pros and cons of the state’s rights vs federal consistency, what would be a compromised baseline federal set of regulations that all states could abide by at minimum, applying stricter regulation if they so choose? Is there a baseline that could be agreed upon? 6 - There are 30,000 gun related deaths per year by firearms. The US population is 324,059,091 as of Wednesday, June 22, 2016. Do the math: 0.0000925757% of the population dies from gun related actions each year. Statistically speaking, is this significant! 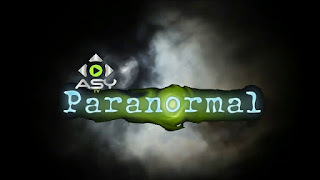 The number one cable paranormal show's good ole boys blunder into another Appalachian caper... WHO OR WHAT IS BEHIND THAT THERE DOOR? 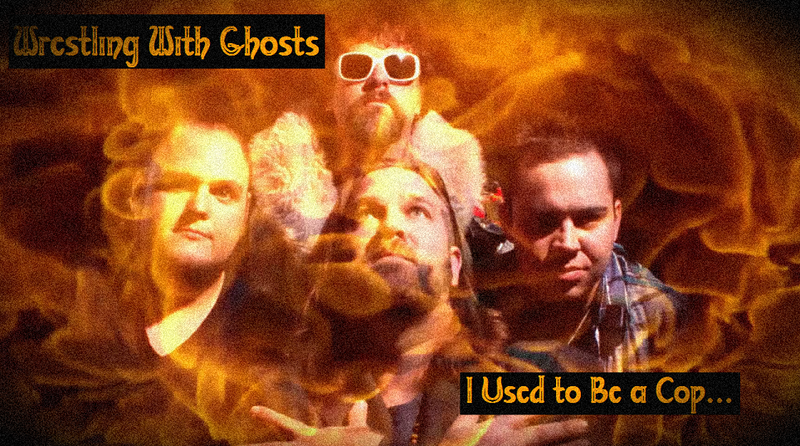 This week "Wrestling With Ghosts" shoots their third potential episode for season two in Morristown. A Funk-Family member got us into this creepy location, and he will be featured in the show. 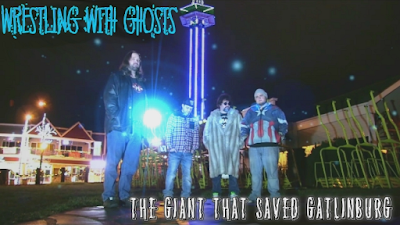 We wanna thank everyone for their support, the Season One DVD/Blu-ray jammed packed with extras and our T-shirts are available by clicking the "Merchandise" Link. 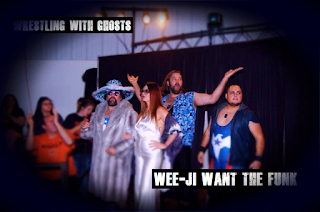 Keep an eye out for us at KFW Wrestling and the Tri-Star Comic Con in Knoxville~! Can Funkmaster V defeat a 28 year old video game, playing it for the first time since his lazy days of High School, while crackin' jokes, pimpin' hos and trappin' tips? FIND OUT NOW!!! 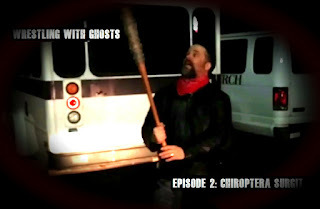 Wrestling With Ghosts & Allan Miller's Ghostwalk Last Friday Was Pimp! Man, Friday was a blast. 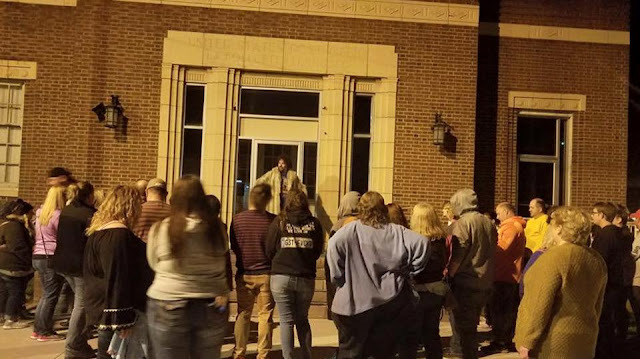 If you ever have the opportunity to check out Allan Miller's GhostWalk LaFollette... DO IT. Here, I tell the unsuspecting masses about how I quarterbacked the 1968 New York Jets to victory in Super Bowl III, amazingly enough... from the steps of the Old La Follette post office using telekinesis. 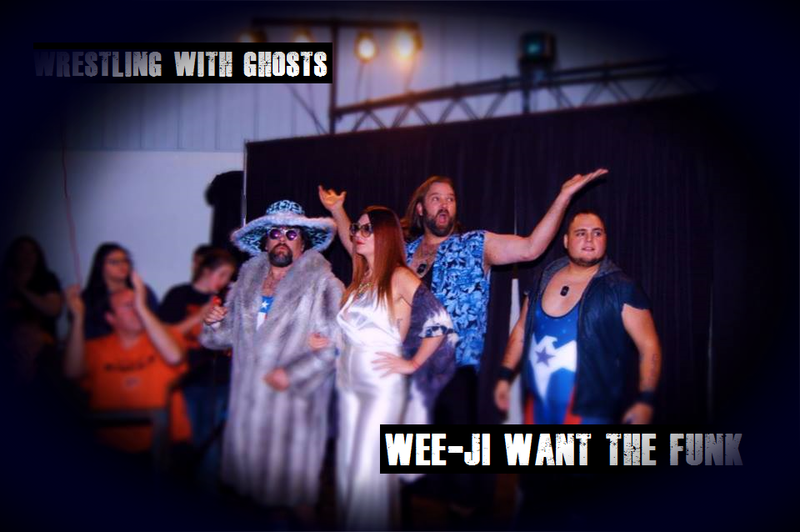 Don't forget that next Saturday, "Wee-Ji Want the Funk" will be released at 10PM EST on www.funkmasterv.com Possibly the creepiest episode of the season!!! "I Used to be a Cop"
"Wrestling With Ghosts is HERE!!!" The wait is over! Time to tell your friends!!! Saturday Nights this summer (Unless a member of the team is wrestling) the self produced season of "Wrestling With Ghosts" will be streaming at www.funkmasterv.com!!! Tell your peoples!!!! Episode One is up and running June 17th at 10PM!! !